The Modern UI Framework is a premium Web Application Admin Dashboard built on top of Twitter Bootstrap 3.3.4 Framework. It was created to be the most functional, clean and well designed theme for any types of backend applications. 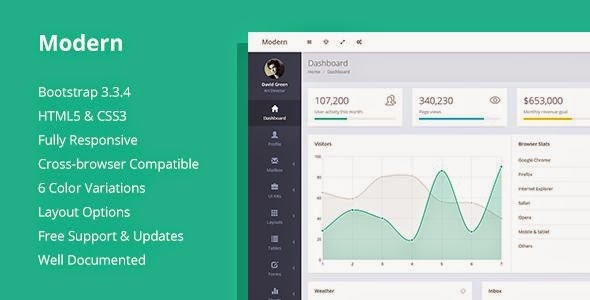 Item Reviewed: Modern Bootstrap 3 Admin Dashboard Template 9 out of 10 based on 10 ratings. 9 user reviews.